Not long to wait, folks – and, as always, Alex is brilliant! I’ve listened to the Rockliffe series multiple times. As a mail carrier I have hours of drive time. Honestly, I can’t pick a favorite book! I’ve purchased both the audio and print versions of all the books. 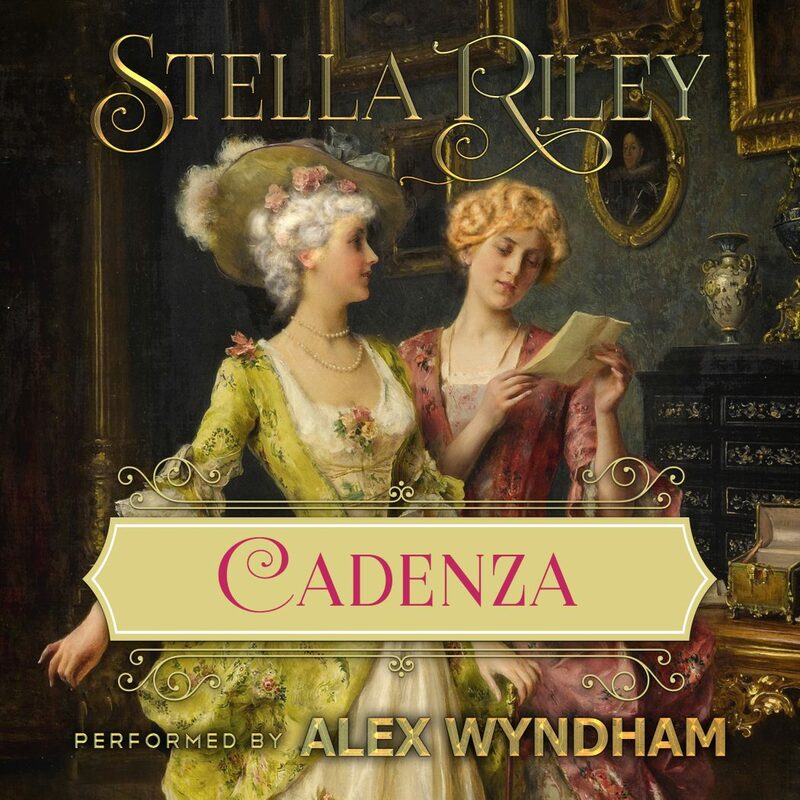 Cadenza is sitting on my shelf, but nothing compares to Alex Wyndham’s voice! Thank you so much! Thank you, Samantha. I’m glad you enjoy Rock & Co – and delighted that you find the stories re-listenable. (Is there such a word?) Needless to say, I totally agree that Alex is brilliant and that I can’t imagine working with any other narrator. His interpretation of Cadenza is as outstanding as it always is and I don’t think you’ll be disappointed. If you haven’t already done so, you might also enjoy The Marigold Chain and A Splendid Defiance – Alex is particularly proud of his work on the latter. I agree with Amanda, I would love to have audio versions of the Civil War books, Have loved all the other audio books, and am patiently waiting for Cadenza to be released. Please Please do consider bringing out the audio audio books. Cadenza ought to be out very soon, Christine – and, like many others, I’m waiting impatiently. Alex has done his usual splendid job. With regard to turning the R&C books into audio, as I’ve said elsewhere they are VERY long and therefore VERY expensive. For example, the estimated running time for The Black Madonna is 23 hours. Since the English Civil War isn’t immensely interesting to most people outside the UK, the audio would never, ever recoup the cost of narration and production. I’m an independent author these days and I have to consider mundane things like costs. However … I never say never. I just don’t promise more than I’m prepared to deliver. Hope that answers your question – and thanks for getting in touch! Thank you, Lisa. Since they are so long (and therefore expensive!) I can’t promise all of them. But … maybe one? Hoping to finish the first read before we leave for Paris, Jacquie. If I can and all being well, it means we’ll probably get the audio signed off by the end of next week. After that, it’s just wait and see. Finally! I hope for even more books in this series. Please! I’m taking a bit of a side-trip with the next book, Magnus. It’s Max Brandon’s story – so connected to Rockliffe but the first of the Brandon Brothers Trilogy. Long way to to yet, however! Will there be audio versions of the four remaining Civil War books? At present, there’s no definite answer to this, Amanda. If there were, would you listen to them? Yes, indeed. I listen to the others again and again. AW reads them beautifully and they never pall. Excellent company on long drives, when ironing and those dreadful nights when you know you are not going to go to sleep. Absolutely right, Amanda. Audios make long journeys pass so much quicker, don’t they? But I’m glad you enjoy Mr Wyndham (well, who wouldn’t?) and find the books bear listening to more than once. That’s a great compliment to both Alex and me. Previous Previous post: SIGN UP NOW! Next Next post: CADENZA AUDIO OUT NOW!